Superb quality, light weight, incredibly warm, what more could you want from a Shearling coat? 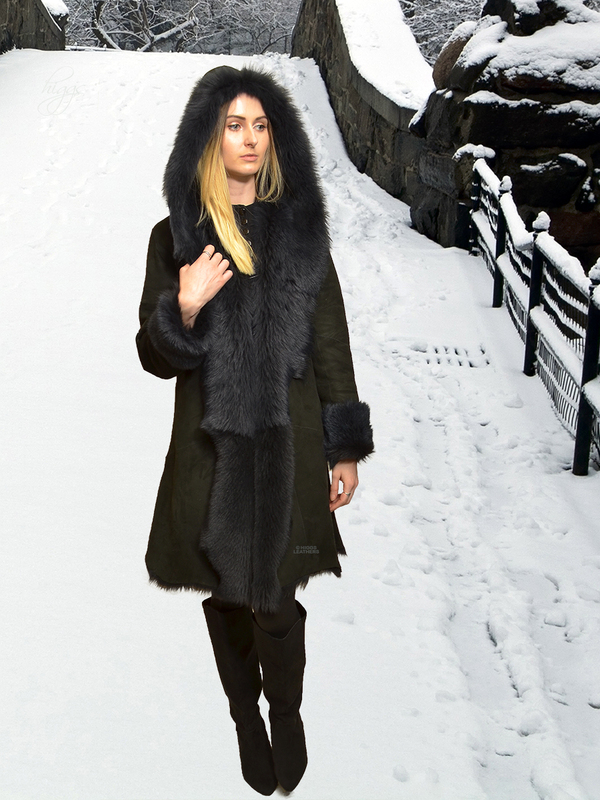 This superb Toscana Shearling coat really does have it all! Slim line fitted body with tailored sleeves and turn back cuffs with beautifully shaped face flattering hood for instant warmth on the coldest winter days. This style looks slimmest without pockets, but can be made with pockets for an extra £30 (please see "Pocket option" box below). Please see further pictures of this style below, or to see this style without a hood please type Alana into our search bar.